Anderson County, South Carolina offers visitors a wide variety of fun activities both for families and individuals traveling to the area. You can also explore the area’s rich history of farm and plantation life with tours created by the local historic societies and fun and games at the local farms. There are also plenty of opportunities to get away from everything and just enjoy the outdoors at the area’s many state parks and golf courses. The Anderson County Museum offers visitors a unique look at the history of the people of Anderson County and the state of South Carolina. The museum hosts over 20,000 artifacts from the area in its collection. Along with the artifacts, the museum also contains the Research and Reading room with 2,000 historical photos and 1,600 volumes all open to the public. The current exhibit, “Keep the Home Fires Burning,” showcases men and woman who have fought in American conflicts. The local exhibits are interactive and offer entertainment and education for visiting families, while the gift shop features items from dozens of local craftsmen. The Carolina Bauernhaus creates and serves locally brewed ales inspired by Belgian tradition and local flavors. Three local home brewers who wanted to create ales that payed homage to the rich farming history of South Carolina founded Carolina Bauernhaus. The brewery is located on a farm just outside Anderson, and the ales are served in the Taproom in downtown Anderson. Carolina Bauernhaus boasts a small variety of ales to keep things fresh and interesting. The line-up of ales changes seasonally, and each ale is considered a special release. The brewery and Taproom also offer year round events including music, open mic nights, and tasting events. The CocoBon Chocolatier offers handmade traditional and old fashioned chocolates and confections. The idea for the shop came about when the owners’ favorite chocolatier closed its doors and they believed the tradition should stay alive. All the recipes are unique to the shop and include ingredients that are locally grown. The shop has a unique vintage style, from the look of the shop itself to the uniforms of the workers. The shop also sells vintage and vintage inspired candies featuring NECCO, Adams Candies, and Ferrara candy, and they offer handmade caramel popcorn and cotton candy to go with the various truffles and bonbons. Denver Downs has been owned and operated by the Garrison family since 1869 and is listed on the National Register of Historic Places. The farm has grown from cotton to dairy and now runs as an agritourist location. The 400-acre farm showcases the heritage of the family farm and teaches tourists how agriculture still enriches our everyday lives. The Denver Down’s Farmers Market is open during the summer months and allows local farmers to share their produce with both locals and tourists alike. Along with the everyday learning opportunities, Denver Downs also offers year round events including an award winning corn maze open during the fall. Opened in 2012, Growler Haus offers visitors a unique look into the craft and microbrewery world and provides a more personalized way to purchase and enjoy craft beers. The Growler Haus’s main goal is to bring out the best local brewers and offer its guests a relaxing environment to enjoy the beers they offer. Each of its three locations offers a wide selection of brews, and the staff will be more than happy to offer samples and opinions based on personal tastes. Growler Haus also hosts a community brewing contest in the hopes of bringing out more local talent to give home brewers a chance to shine. Locals and visitors alike know Lake Hartwell as one of the best fishing spots in South Carolina. The Lake Hartwell State Park offers visitors miles of hiking opportunities and a public access boat ramp for those wishing to fish or explore the waters. Visitors wishing to enjoy the park for a few days have access to two beautiful wooden cabins that can be rented out year round. Besides the cabins, camping sites for RV and tent campers can be rented as well. For families traveling to the area, the park also has a playground and a picnic shelter that can accommodate up to 75 people. Pets are permitted in the park for those visitors who wish to bring their furry family along. Palmetto Distillery is a local micro-distillery which produces the first legal moonshine to come out of South Carolina as well as award winning whiskey. The two owners, both descendants of local moonshiners, use recipes well over 100 years old to preserve the tradition of their ancestors. All the moonshine is produced by hand in a copper still. The distillery offers free tastings of its five flavors of moonshine and their craft whiskey to visitors. In addition to offering tastings, the distillery also offers a history lesson into the local tradition of moonshine runners and now the distilling process works. Sadlers Creek Park is a 395-acre State Park that sits on a peninsula in Lake Hartwell. The area offers camping, water sports, picnic opportunities, and bird watching. Families wishing to gather at the park can take advantage of the two picnic shelters and lakeside pavilion, which are available for reservation. Sadlers Creek Park offers 52 campsites with both water and electrical hook-ups. 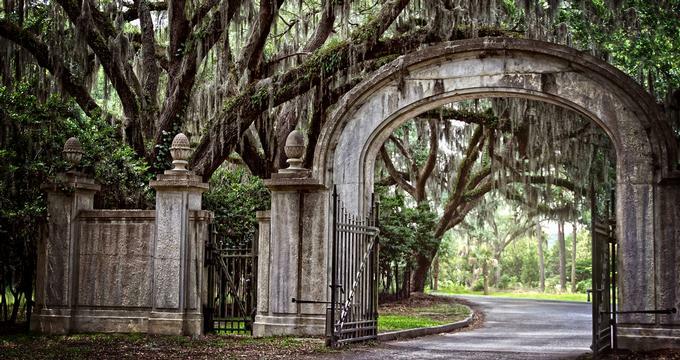 South Carolina offers a unique look into America’s plantation history with over 1,500 plantations scattered across the state. In Anderson County, you can find the Ashtabula Plantation and the Woodburn Plantion, which the Pendleton Historic Foundation own. The plantation is run as a house museum and offers visitors a look back into what plantation life was like in the 1800’s. Located in the Blue Ridge Mountains the Split Creek farm is a dairy farm specializing in goat products. The farm produces and sells award-winning handmade goat’s milk cheese, fudge, and yogurt, and it also offers visitors tours of the farm itself. Visitors get an idea of the farming history of the area and the day-to-day operations of running a dairy farm, and they can also see the farm’s 350 strong herd. The farm hosts the work of local artists in the shop, and during seasonal events there are live demonstrations on how their products are made.